HIGH Court judge Justice Edith Mushore yesterday gave troubled Finance deputy minister Terrence Mukupe until July 18 to settle his $32 593 debt with Trust Bank loan or face civil imprisonment. Justice Mushore postponed the matter to July 18 after Trust Bank lawyer, Romeo Chatereza, submitted that the parties were close to reaching an agreement which should spare the legislature from incarceration. Trust Holdings’ banking subsidiary, Trust Bank Corporation (Ltd), recently petitioned the High Court seeking Mukupe’s incarceration after the latter allegedly failed to service a five-year old debt. 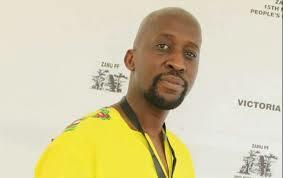 Prior to Trust Bank’s placement under provisional liquidation in October 2014 and eventually final liquidation on May 19, 2016 Mukupe, who is Harare East aspiring Member of Parliament, had obtained a loan from the financial institution which then formed the basis of the current litigation. Just moments after the bank’s litigation, and after a few other different matters were dealt with by the judge, Mukupe was again on the receiving end as the court slapped him with yet another default judgement in a matter involving a Chinese company, China Industrial International Group (Pvt) Ltd.
On May 22, 2018 through its lawyers Messrs Kantor and Immerman, the Chinese firm issued summons against Mukupe but the latter failed to take action prompting the firm to petition the court seeking a default judgement against him. In its declaration the company said sometime in February this year, it was engaged by Mukupe to construct his office in Eastview at an agreed price of $48 000. However, after making part payment for the engaged services, Mukupe later failed to fulfil his contractual obligation prompting the firm to approach the court for recourse.